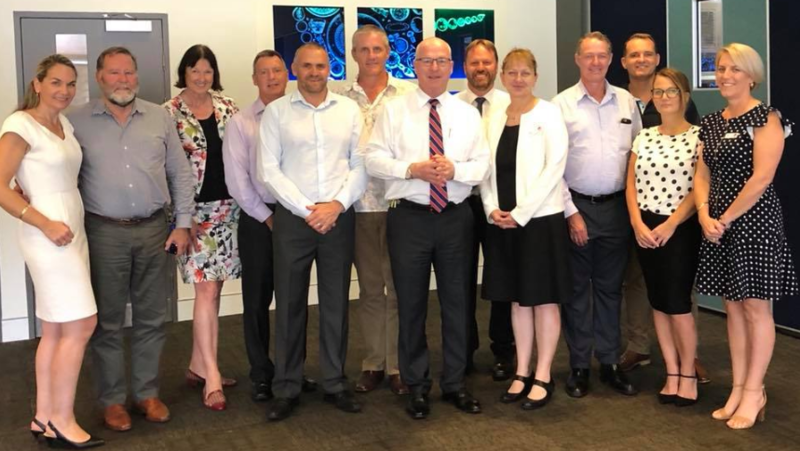 Sunshine Coast Councillors spent the day at TAFE Mooloolaba to better understand the institutions progress and achievements. Thanks to GM Ana Roger and Mark Reilly and their team. We engaged with staff and students to appreciate the resource pipeline to fill future jobs. Mechanics, nurses, hair dressers, beauticians, chefs, fashion designers to name a few. 250 international students attend TAFE principally from Sweden and Korea. You can enjoy fantastic well priced meals on a variety of times and days. I think all Councillors will agree TAFE is playing a vital role in preparing our skills and knowledge base for the future.